Vacuuming is a great method to take away dirt and grime with the upper level of the carpet, however it doesn’t delve any deeper. At Maxi Power Cleaning, our carpet steam cleaning service in London can help you see a new shade of spotless. 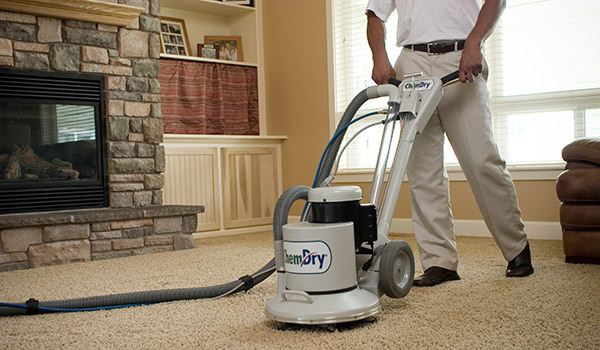 Steam cleaning is a great way to remove the ground in dirt in your carpets. The fibres are around two times longer than they seem because of the constant walking and pressure upon them. Our service shampoos the pile of carpet fibres with heated water to remove the dirt from the bottom up. We recommend having your carpet steam cleaned once every six months to ensure that they are hygienic and clean throughout your property. Our specialist machines will go deep into the carpet to clean it thoroughly. Not only that, but we will leave your carpet smelling fresh and fragrant. Stains and spots on your carpet can mean moving your sofa over to hide it, but our machines and spot treatment can remove these without any worry. When we leave your property, we will attempt to leave it in the driest state possible with our powerful extraction machines. Our service spans across London to deal with long-term vacant properties and regular carpet cleaning. To find out why we are trusted across the capital, contact our team today.